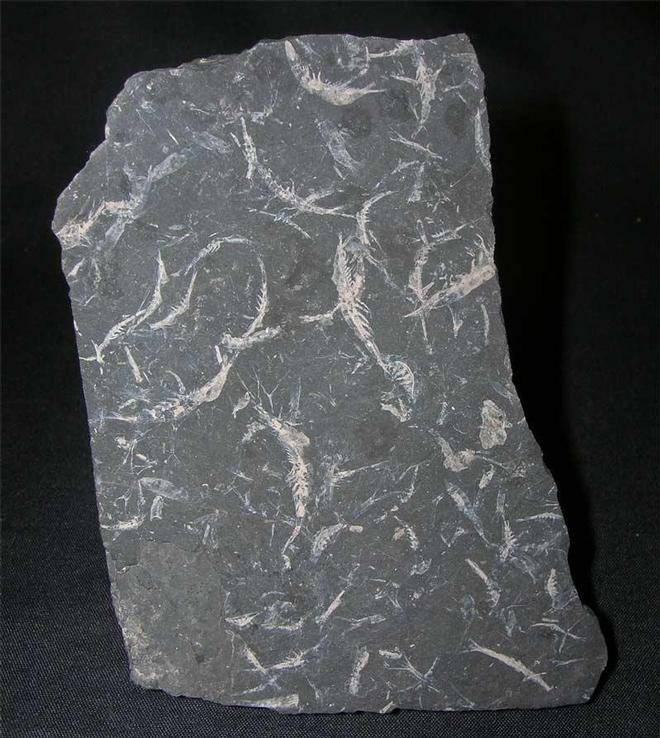 Waterstonella is a species of fossil crustacean so distinct from other crustaceans that it has been placed in its own genus. 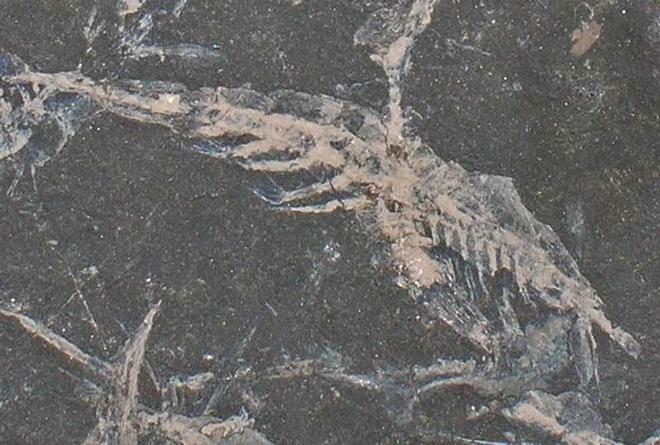 The specimen was named after Dr Charles Waterstone who was the keeper of Geology at The Royal Scottish Museum. 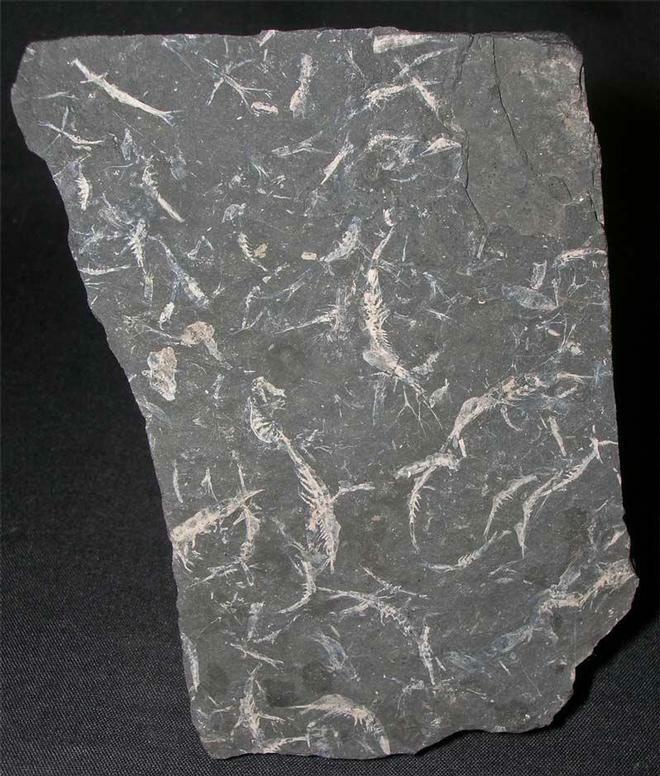 This specimen consists of several complete and many fragments of primitive shrimps. The white soft shells are made out of chitin a material similar to finger nails. The bed that this came from has been totally removed and it is now impossible to collect any of these specimens. 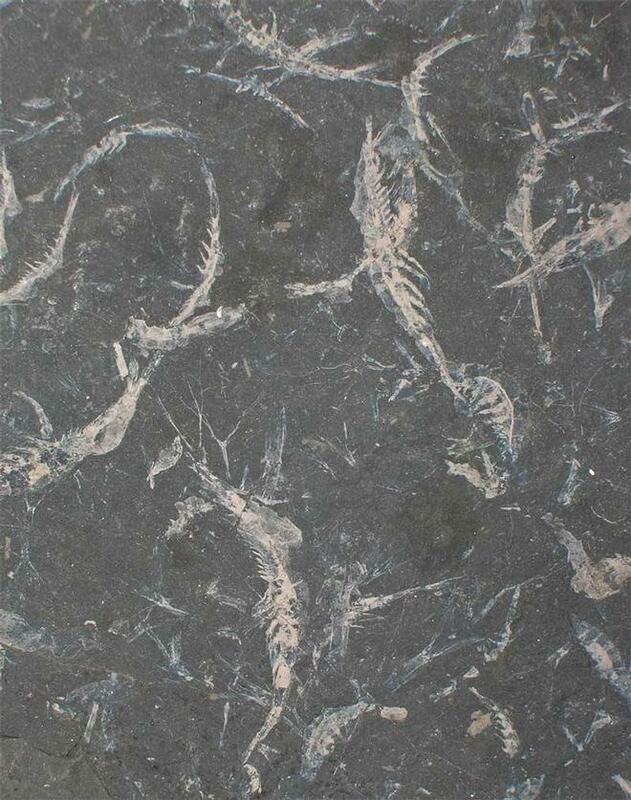 The specimen is approximately 330 million years old and was collected in the 1980's. This would make an important addition to any collection.